Fire extinguishers require stringent maintenance to ensure they will work when needed, and possibly more importantly, that they are safe. 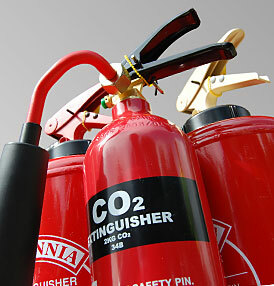 Fire extinguishers are pressurised vessels that can explode when corroded or damaged, and have been know to cause serious injury and even death. 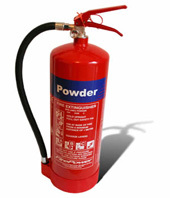 British Standard 5306-3:2000 covers the maintenance of portable fire extinguishers, and recommends that “regular visual inspections of all portable fire extinguishers be carried out by the user or user’s representative. The frequency of inspections by the user should be no less than monthly and, when circumstances require, inspections should be carried out more frequently”. Maintenance should be carried out by a competent person 12 months after the installation of a new extinguisher, and at 12 monthly intervals thereafter. Water and Foam Annually 5 yearly N.A. Powder Annually 5 yearly N.A.